Now you just HAVE to go back to check them out. 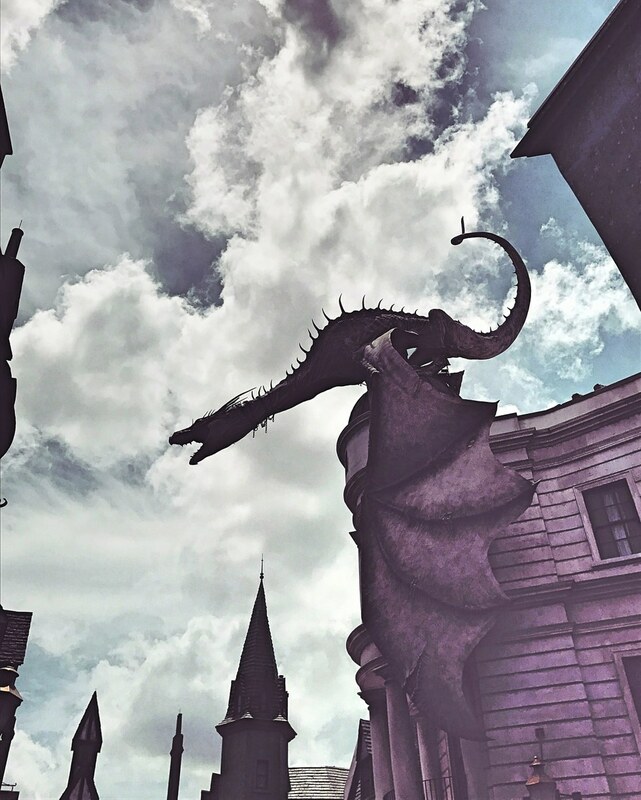 If you have had the immeasurable pleasure of entering the Wizarding World of Harry Potter in Orlando, you know that it most definitely takes the cake as the happiest place on earth. Universal has done an impeccable job creating a world that truly mimics the images we have imagined in our dreams since we were young kids delving into a series that would forever change our lives and instill in us some of the most valuable lessons we could ever learn. 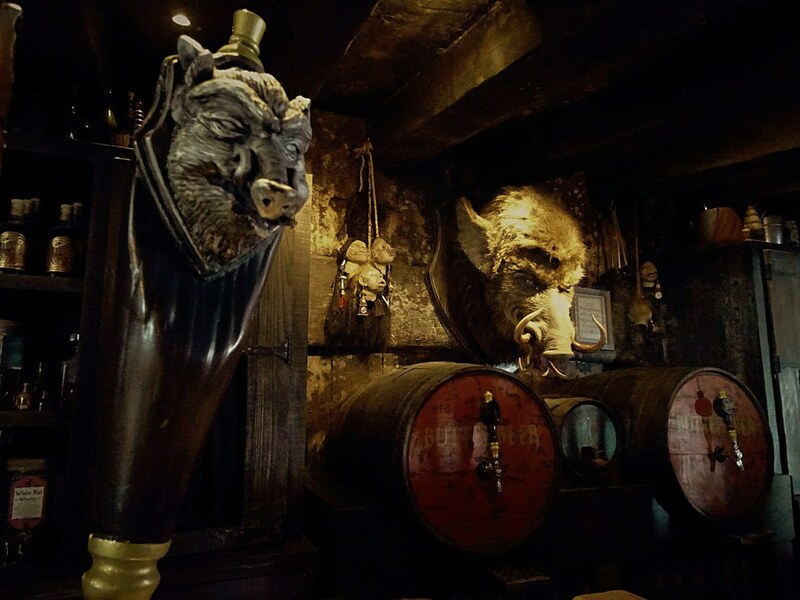 Hog’s Head is a must-see bar in Hogsmeade right next to Three-Broomsticks. It is VERY easy to miss and quite honestly I walked past it a hundred times over the past few years. There is a small rustic sign that dons a hog outside of the entrance that is really the only identifier of the bar. Once inside, you will come across a taxidermed hog’s head as the center of the bar, well at least you think he’s stuffed until he snarls at you. They offer a beer exclusively to this bar that is my absolute favorite Harry Potter beer, Hog’s Head Brew. It is a Scottish red ale and it will not disappoint, but make sure you grab it here because it’s the only place you’ll be able to get your paws on it! 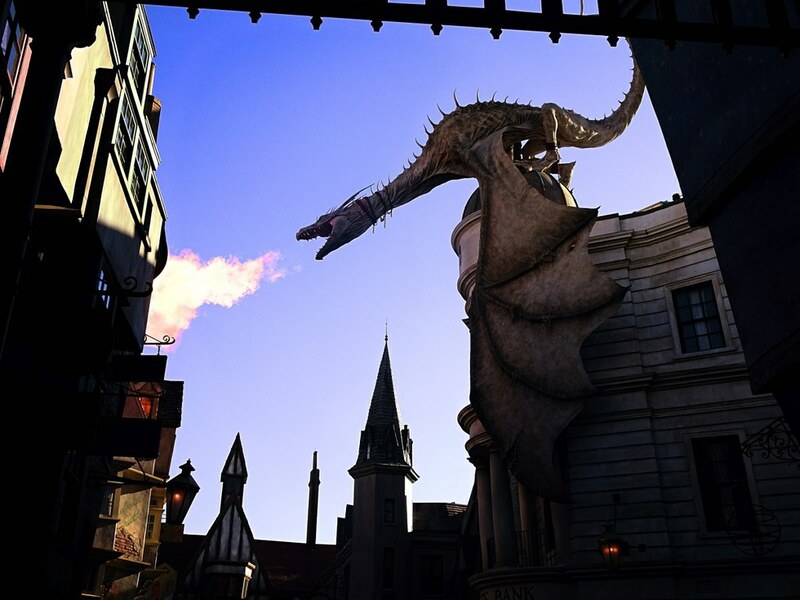 The Dragon in Diagon Alley will breathe fire randomly throughout the day and night and it is actually really amazing. Also, if you didn’t know the outside of Diagon Alley is colder than any other outdoor area of the park, don’t ask me how it works, but it is significantly cooler once you reach Diagon Alley. Dragon Scale is another Harry Potter brew that is a Vienna Lager and is really well made. 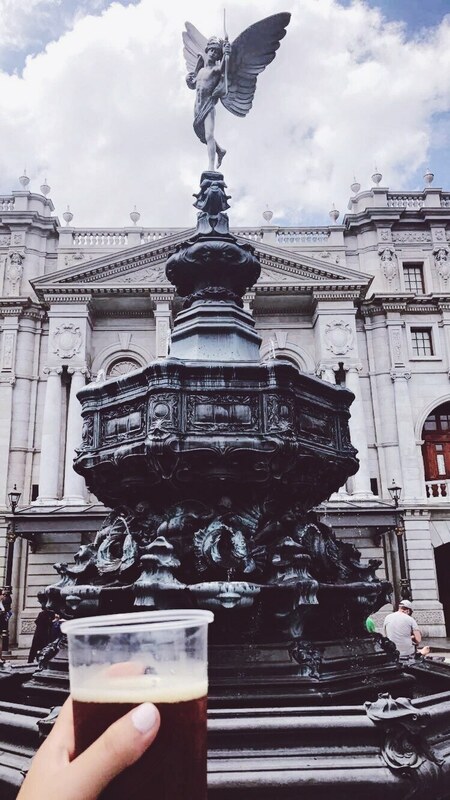 This is going to be some of the best people watching and relaxing you may do the entire day, so grab a brew and head to the fountain. It is right next to the Knight Bus so you get to watch the bus driver and Dre Head interact with everyone. Tip: Diagon Alley can be tricky to find the first time, it is extremely easy to walk right past (making people watching at the fountain that much more fun). Looking at it head on it is just a brick wall, from the side it almost looks like it could be a restroom entrance, however if you walk behind the brick wall, the bricks open up into a whole new universe. You are able to meet the bus driver and Dre Head most hours that the park is open and it is very easy to find. 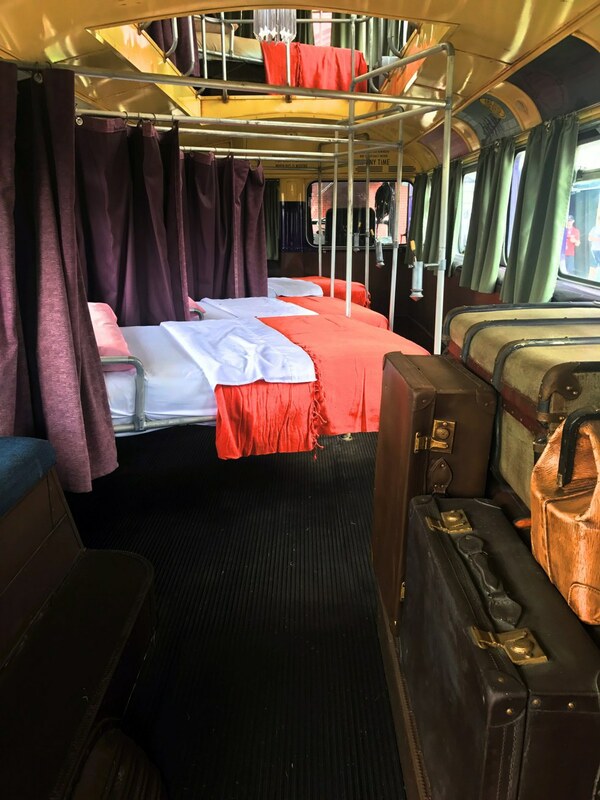 However, what most don’t know is if you head to the back of the Knight Bus you can actually crawl in and see all the beds and the entire interior of the bus. I cannot tell you how many people have gone to the Wizarding World and came home to tell me they never actually went inside Gringott’s or Hogwarts. In my opinion, the wait is just as exciting as the rides because they are filled with so much wizarding memorabilia. 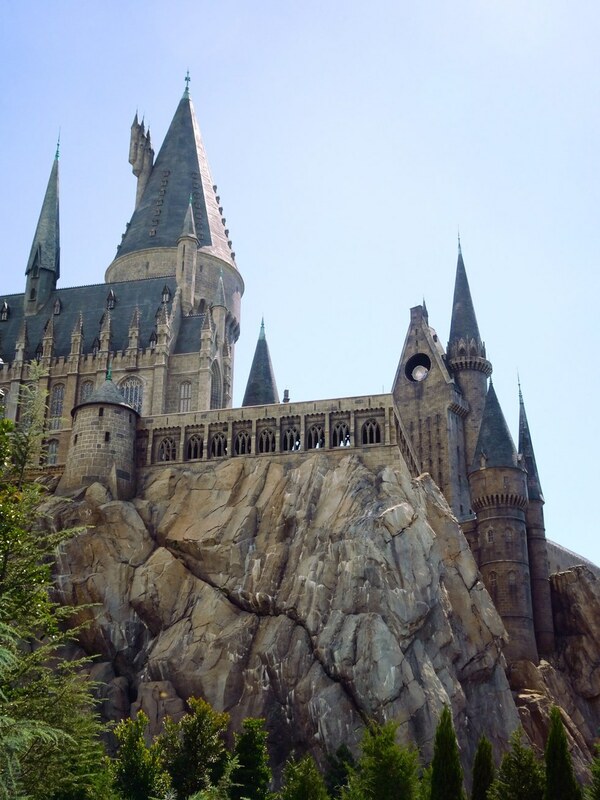 You will see things in line for these rides that will make you feel like you are inside the largest Harry Potter museum; they really are an experience all in themselves. Mandrakes, Goblins, and Dawn French oh my! You heard that right, move over frozen butterbeer, bring on the ice cream. 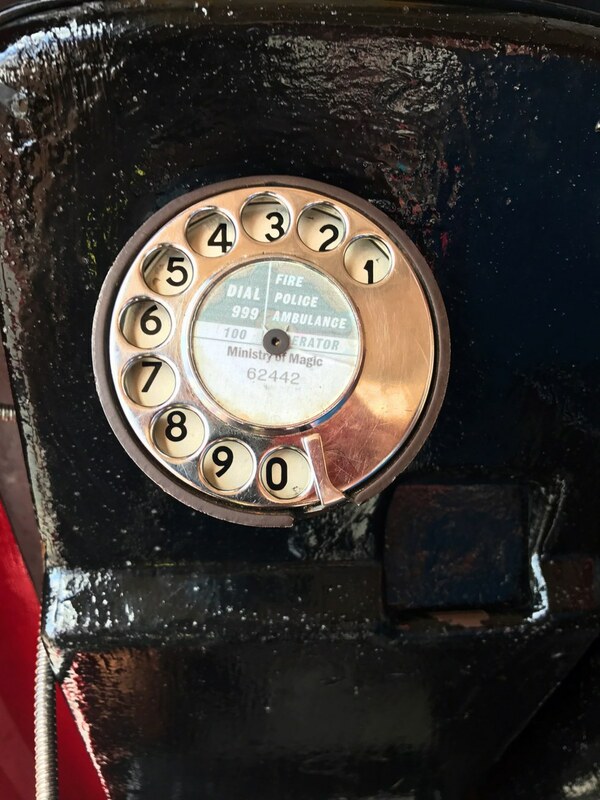 You can find this in Diagon Alley at the ice cream shop right in front of Gringott’s or at the Hopping Pot. 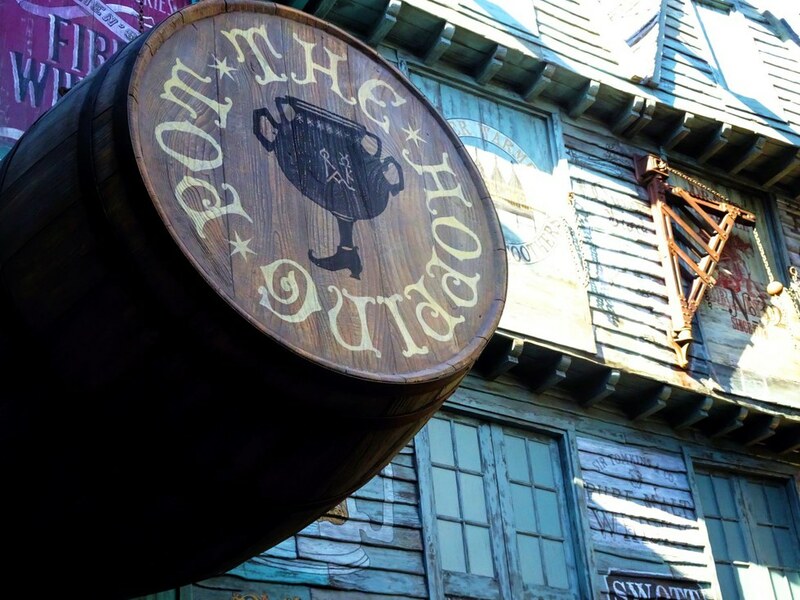 Knockturn Alley is located in Diagon Alley and is often overlooked as it is kind of hidden in the side of the park. 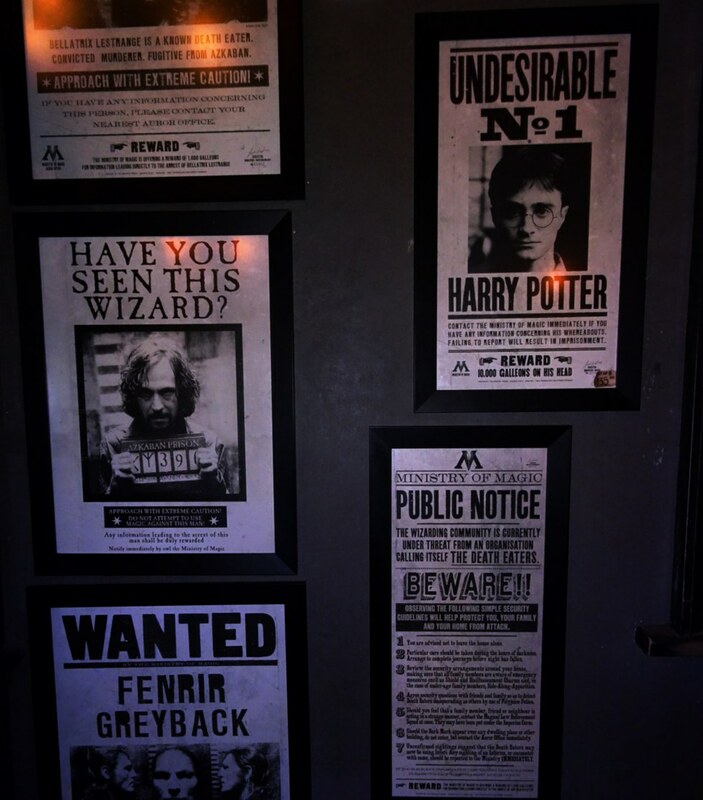 You’ll kind of get a chill looking at displays and make sure to head into the store that holds real memorabilia from the movies and will have you embracing your inner Bellatrix. 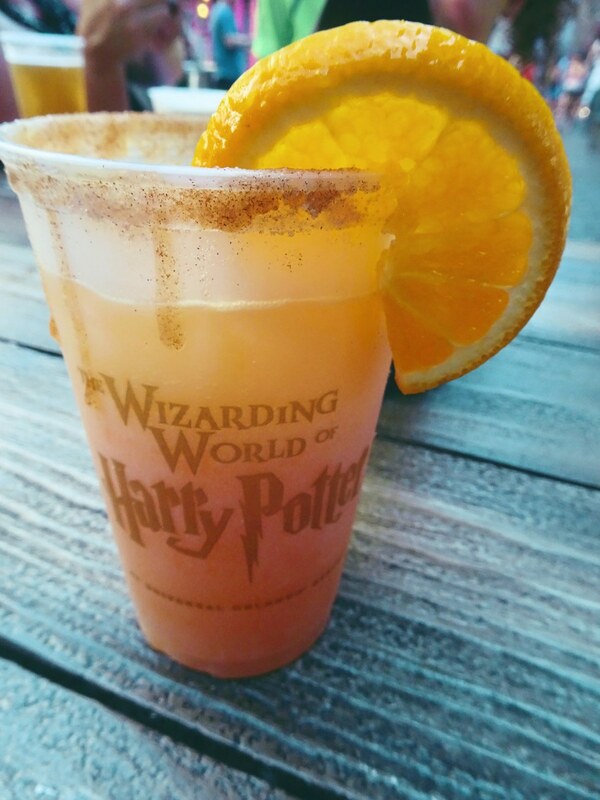 This non-alcoholic orange drink will have you going back every hour to the Hopping Pot in Diagon Alley to get another for it’s refreshing yet dense taste. It is one that is definitely underrated. Feeling risky? 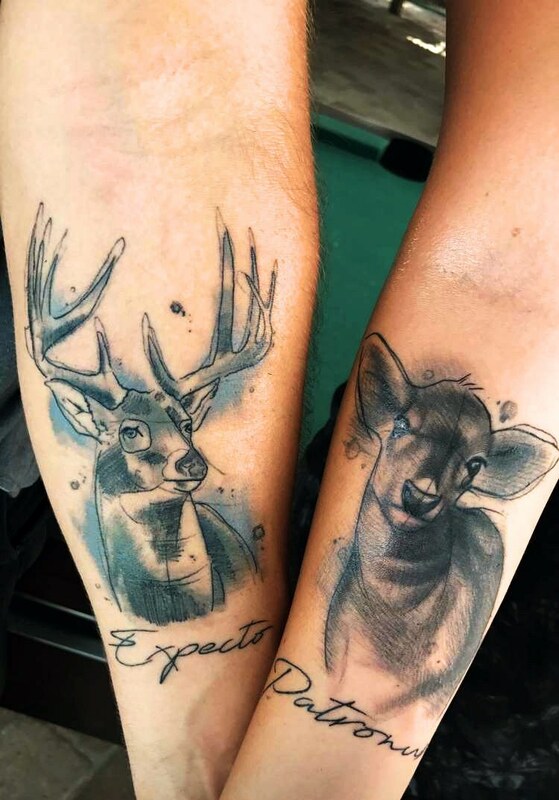 There is a tattoo shop located in City Walk, Hart and Huntington Orlando, that has had their fair share of experience in a wide variety of hp tattoos for all your muggle needs. They really do an amazing job and are super easy to work with. Their shop also has a ton of Harry Potter themed paintings so be prepared to be in ink heaven. Take your time to really take in everything in the two worlds, there really is so much to see and you will undoubtedly see something new every time if you keep your mind open. 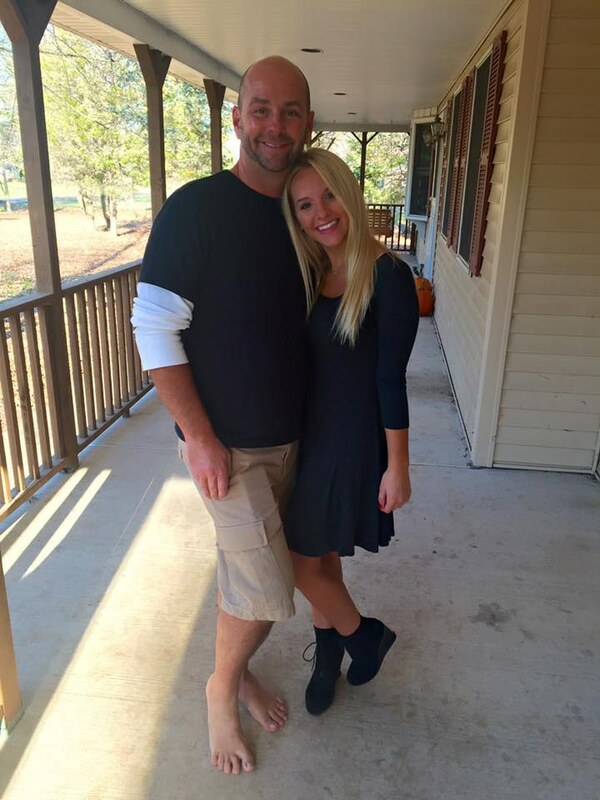 After all, it’s the safest place in the world.